Citation: Friedman, Lauren, et al. GALE Phase 2 Chinese Broadcast Conversation Parallel Text Part 1 LDC2013T11. Web Download. Philadelphia: Linguistic Data Consortium, 2013. 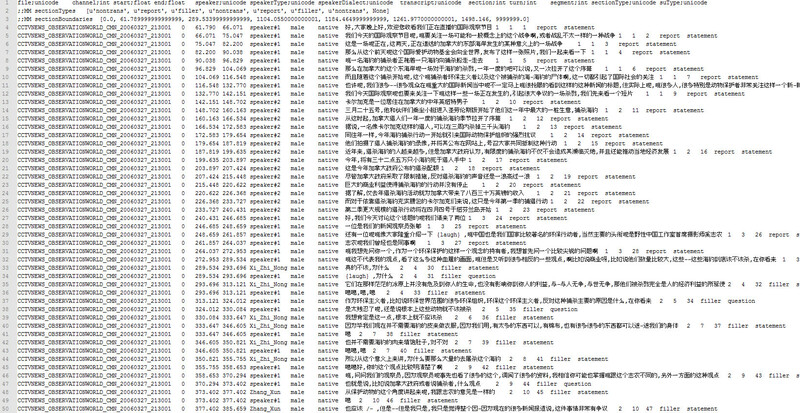 GALE Phase 2 Chinese Broadcast Conversation Parallel Text Part 1 was developed by the Linguistic Data Consortium (LDC). Along with other corpora, the parallel text in this release comprised training data for Phase 2 of the DARPA GALE (Global Autonomous Language Exploitation) Program. This corpus contains Chinese source text and corresponding English translations selected from broadcast conversation (BC) data collected by LDC in 2006 and 2007 and transcribed by LDC or under its direction. This release includes 21 source-translation document pairs, comprising 146,082 characters of Chinese source text and its English translation. Data is drawn from seven distinct Chinese programs broadcast in 2006 and 2007 from the following sources -- China Central TV, a national and international broadcaster in Mainland China and Phoenix TV, a Hong Kong-based satellite television station. Broadcast conversation programming is generally more interactive than traditional news broadcasts and includes talk shows, interviews, call-in programs and roundtable discussions. The programs in this release focus on current events topics. Please view the following Chinese source sample and English translation sample.